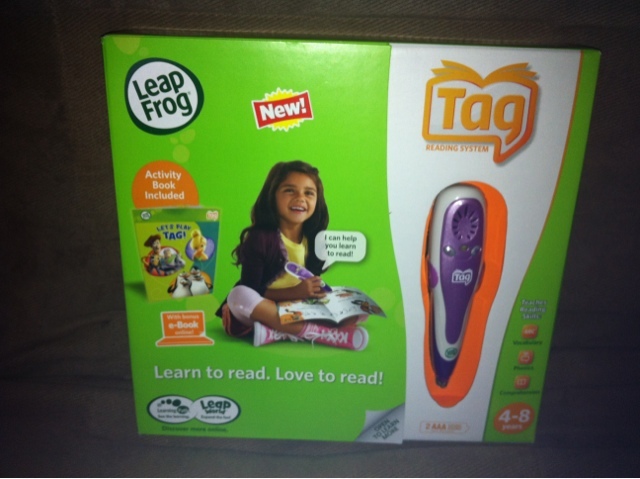 This is what came in the mail today from leapfrog. I bought my daughter the tag reading system for her birthday two years ago and a new book for it this past Christmas. Well it was sad to say that she could not enjoy her new book because the tag would not recognize it and would not pick up any of the other books that I had previously purchased with the system. I had been calling leapfrog with this issue and would be on the phone for long periods of time for days on in and could not get through due to high call volume. Finally I decided to shoot them an email with my dissatisfaction about this problem while still attempting to call them on the phone and hang in there till I got through. After almost a two hour wait time, I finally got a hold of someone that could help me. The customer service agent walked me through trying to fix the problem with the old system but it still would not recognize any of the books so they offered to send me a replacement. They told me it could take 10-15 days to receive it but it didn’t take anywhere near that long. Other than this experience, I think of leapfrog as being a great company that makes very educational products for young kids. Besides the long wait time to get through to a customer service representative, they were friendly, patient, and resolved my problem quickly. My child is a very happy camper and is enjoying her new system. She has not put her tag down since the UPS man delivered it.